It's been more than decade, but I still remember the tale of one very flustered hospital PACS administrator. At a conference in San Antonio, he confessed that he'd been sent to "pick a PACS" for the hospital. To be clear, by that he meant he was to choose one that weekend from among the vendors at the show—and return the following Monday with his decision. The poor guy was part of a now diminishing breed of PACS administrators: the radiologic technologist in the film-based department who had some knowledge and expressed some interest about computers. His hospital had decided it was time to go filmless—as soon as possible—so the radiology director put him on the plane to Texas. The guy felt a little overmatched. 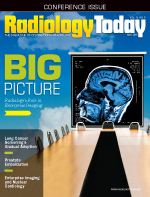 That anecdote relates to two key points from Dave Yeager's article on radiology's role in enterprise imaging in this issue. First, proper planning is important to the success of IT projects. (The example above is not such an example.) Second, imaging IT has grown far beyond the scope of the radiology department. Still, radiology and radiologists contribute significantly to developing and implementing an enterprisewide strategy. Yeager's article discusses how some organizations have pursued this move. There used to be a PACS debate about whether it was better to create PACS administrators by taking people from the radiology department who understand imaging and training them in IT, or taking IT professionals and teaching them about imaging. As imaging informatics has evolved and its mission expanded, IT has prevailed in that regard. But without guidance from the radiologists and technologists who provide imaging services, IT would not likely create a system that serves imaging's clinical needs. IT brings tremendous expertise to enterprise imaging projects, but radiology still plays an important role in providing input that assures the computer systems support the clinical workflow. While image sharing and archiving have expanded beyond radiology, they have not left the department. By the way, I do not know what choice that PACS administrator made in San Antonio … or how it turned out.